Lemontree distributes and supplies all products from the HP Application Lifecycle Management portfolio. The product suite supports all processes related to modern and agile software development. The products, together with Lemontree’s competence and solutions in the field, lead to a “shift-left” effect in application development. HP ALM (Application Lifecycle Management). Traceability of all changes in requirements, testing and releases. The test tool HP Sprinter comes included with HP ALM. This speeds up manual testing by eliminating repetitive tasks such as test data entering or having to run tests simultaneously on several different platforms, and also helps the tester to automatically register any defects that might arise through a screen capture. Lemontree supplies HP ALM as a classic license with support, or as a SaaS solution. HP Agile Manager replaces the classic whiteboard and post-it notes that a scrum team might use with an electronic alternative. This means that developers, testers and requirements analysts have the same view on reality and can work in the same tool. They can see the consequences that different changes give in real time, meaning software development time is reduced, as the different teams can communicate more effectively. The tool comes with ready-made reports and dashboards that make it possible to see the build-time, defects and change histories. HP Agile Manager can be synchronised with HP ALM in order to manage continual testing. Lemontree supplies HP Agile Manager as a SaaS solution. HP Service Virtualization is a tool that simulates IT services in a development or test environment. By copying the production environment’s different services, developers and testers can work without having to consider access to the surrounding system. They also avoid running the risk of writing test data onto the production system. As a result, development and testing move faster. HP Service Virtualization is a web-based tool and has a dashboard that shows what services are active, who is using them and what status they have. Today’s agile methods require software testing to be extremely effective. HP Unified Functional Testing (UFT) is a tool for automation of any type of automatic testing of desktop, server, web or mobile applications. With UFT, automatic testing can be part of the continuous build process. This means that the agile development process does not get held up at the testing stage. As a result, applications are developed faster, to a higher quality. Lemontree has completed many successful automation projects. We have developed our own framework, Lemontree Test Enabler and Master Data Solution, to make it easy to maintain the test automation solution and to manage all the essential test data. HP Performance Center is a platform for performance testing of large and complex business-critical systems. The solution can also test mobile applications. With powerful tools such as Diagnostics and Application Performance Monitoring that identify bottlenecks in the test environments and simultaneously make comparisons with data from production monitoring, Performance Center is the market’s best tool for performance testing. Lemontree can supply Performance Center on-site or as a SaaS solution for anything from one month to several years. Why choose Lemontree as a supplier? Lemontree is one of few partners that can offer support to HP’s test products. 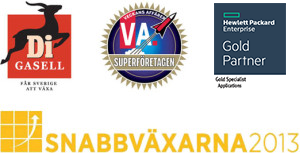 We have a local service desk in Sweden that quickly responds to your questions in Swedish, and can give you advice on how best to make use of HP’s test products. Lemontree has extensive experience of installing and configuring the products in HP’s ALM portfolio. Over many years, we have built up our own framework that complements the HP tool, giving our clients even more value. We have ready-made methods for tool roll-out within an organisation, as well as procedures and processes for how our clients should use the tool in their daily work. We also hold trainings in both administration and use of the products. The trainings are tailor-made for each client.